History is funny, it morphs, slips away and returns with new meaning. Still, we tend to use history as a way of reassuring ourselves of our place in the world. Phenomenologically we live in a constant present and history is the means by which we order particular events of the past and recall or revisit them. When history becomes subjective it is removed from any systematic social order, it becomes enclosed in a miniature cosmos. 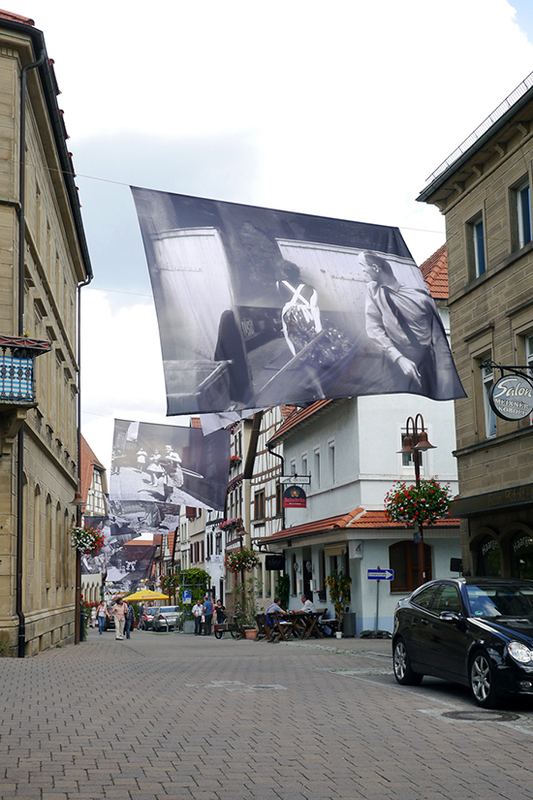 It was this personalization of history that motivated me to work with images from a Regular-8 film that I discovered in the archives of the town of Eppingen where I was preparing a work to be presented on banners that would hang in the old town throughout the summer and autumn of 2014. 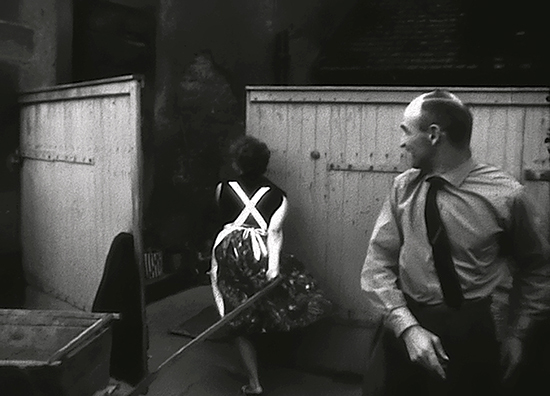 The black and white film from 1961 documents the entire village population of Richen-Eppingen . In the village it is still often watched on DVD and is a cause for reminiscence. One talks about how life was, what has changed or who has passed away. 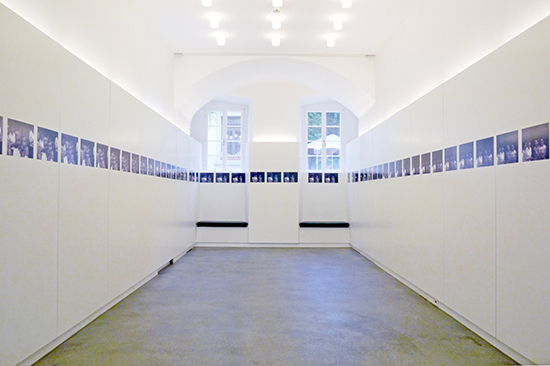 What I saw was a record of a culture resisting modernity while hungry for it. 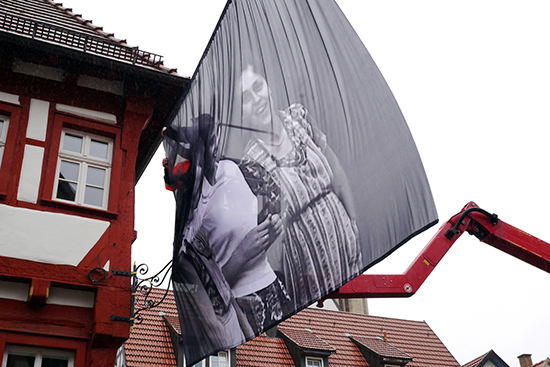 The social constraints of this Post-WWII village lay heavy on the images. Classroom scenes reveal dubious attitudes, children’s games turn into scuffles. Marches, celebrations, football matches and hunts are all performed for the camera and domestic chores are brought outside to be completed in daylight. The women performing their chores, the girls on the playground are all dressed in their liveliest prints, protected by aprons. They all betray a mixture of embarrassment and attraction along with an innocence and naiveté towards the medium. The women flirt with the camera (the filmmaker remains unknown) they are all trying to please. Then there is the odd one out who teases, turns her back or runs away, or the one who bashfully, yet stoically accepts the camera’s eye.